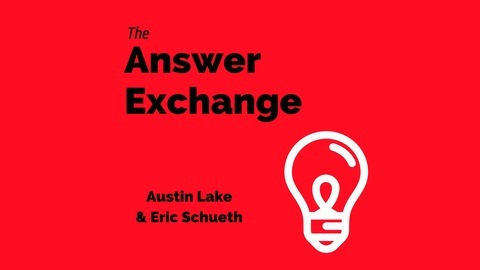 Welcome to The Answer Exchange where co-hosts Austin Lake and Eric Schueth discuss a wide array of questions and ideas. Things are about to get interesting to say the least! We hope you enjoy! Follow us on Twitter @answer_exchange. 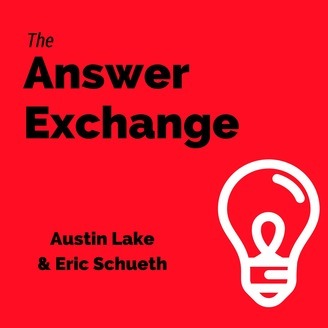 Episode 12 - What are the worst/cheesiest pickup lines? Today on the show, Kortney Schmitz joins Austin and Eric as their second ever guest on the show to discuss some of the worst and cheesiest pickup lines they've ever heard. Episode 10 - Should college athletes be paid? Episode 8 - What are your favorite Disney movies?